Hi, I’m Deborah the owner and creative force behind Botanic Art. What started as a hobby over 20 years ago, in Berry, quickly blossomed into a full time business as the demand for quality wedding flower designs and styling increased. Seeing a niche in the wedding market I was the first specialised floral business on the south coast that concentrated exclusively on wedding flower styling and designs. I strive to continually maintain high standards and meet the expectations of all my clients, through regular communication, flexibility and of course hard work. The smile on a client’s face makes it all worthwhile. I know I’ve turned their floral vision into reality and have been a part of their dream day. It’s a real goose bump moment that I love. 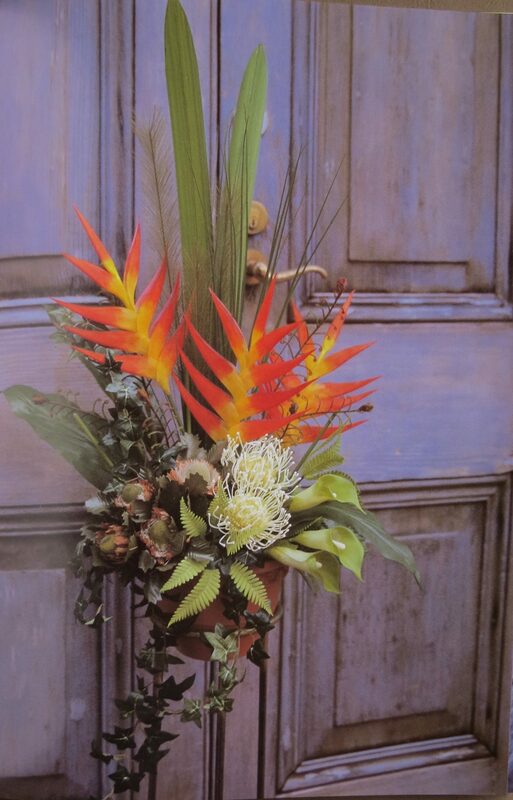 Botanic Art has been privileged to design, style and merchandise for many varied clients and locations from private homes, hotels, tourism offices, trade fairs, magazine shoots as well as demonstrations for community groups and hosting floristry students. Client’s weddings have featured in various issues of Bride to Be, Cosmopolitan Bride, South Coast Style, Studio Bride, My Perfect Wedding, The Bride’s Diary, Covers of Shoalhaven Bride & Real Weddings as well as promotional images for event and social media marketing. Being passionate about flowers and the joy of teaching I’m also a published author having released two instructional books on Floral Design. A nominee for Floral Design in the Australian Bridal Industry Awards, a finalist in 2010 and more recently a finalist in the 2015 Tesselaar Wedding Flower’s Top Gun competition with my work appearing in a newly released e – book, Breathtaking Wedding Flowers, you can be confident I will endeavour to create your ideal floral wedding. Thank you so much for being the florist for our wedding. From the minute we exchanged ideas for my wedding flowers, until the delivery of our bouquets you were so lovely and helpful. I absolutely loved our bouquets, so did my bridesmaids. The table centrepeices were beautiful! I had friends take home the table centrepieces to decorate their homes. Our close friends even took home some of the bouquets to place on their daughters grave. Again, thank you so much. Just wanted to touch base now it is all said and done…..Thanks again for the flowers, they were fantastic. I loved them all. My bridesmaids were amazed by their flowers. The colours were stunning. I wasn’t sure what to imagine but they turned out better than I could ever picture. Great job. I just wanted to thank you for providing the most beautiful flowers on our wedding day. They were perfect and we are very grateful for all of your hard work and effort. Well we’re back from the honeymoon and settling back in to reality! Sigh…. Once again, thank you, thank you, thank you! You are fantastically talented and truly helped to add that extra bit of magic to our special day. The kids are on their honeymoon, so no chance to send their thank you’s yet, and they won’t be back for a few weeks, but I just wanted to write to you to say how lovely everything looked in the marquee at Silos on their special wedding day, and the wedding ceremony site in the vineyard was perfect with the arch and rose petals and chair posies. The bridesmaids bouquets were stunning as were the table centrepieces and your efforts were very much appreciated. So thank you again and I look forward to speaking to you again in the future. I want to say a massive thank you to you for our wedding flowers on 22 August 2015. All of the flowers look absolutely beautiful and I could not have asked for more beautiful bouquets for us girls. Thank you for all of the time you spent with Mum and I and the time you spent answering my questions – for a person who doesn’t know much about flowers I always felt that I was in great hands – thank you. Thank you for adding such a beautiful and pretty touch to our day and our reception. 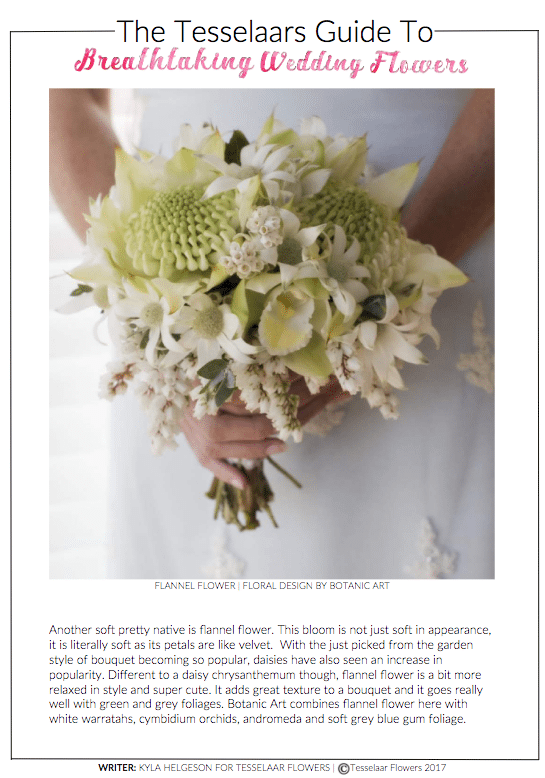 It features some beautiful pictures of your amazing floral work and links to your blog. We would love to thank you for the amazing work you did for our wedding. We absolutely loved how you put everything together and you really listened to our ideas. Everyone kept saying how beautiful the bouquets and the chuppah was. My bouquet was just the most beatiful bouquet I’ve ever seen. So huge, thank you ! Sorry it has taken me so long, I’m just getting back into work and every day life again! I just wanted to say a big thank you for my beautiful flowers, I couldn’t have been happier with them. You were always so helpful as well and so quick to respond to my emails. I just wanted to say thank you for being part of our wedding. From the beginning working with you was such a breeze, we really didn’t know what we wanted and you help build a vision for us. On the day the flowers you delivered were out of this world beautiful. The bouquets were fabulous and the table settings were perfect. Thank you so much for your amazing work and making our wedding so beautiful. Thank you again for your stunning bouquets, table pieces, hanging pieces and the corsage pieces. I adored the gum nuts for the boys button holes. I couldn’t have imagined more beautiful flowers and they really brought so many photos to life. I just wanted to say thank you again for the gorgeous flowers you did for our wedding at Kangaroo Valley last month, they were absolutely stunning! They were absolutely perfect for the setting and we had many lovely comments. Also thank you for the mother’s day flowers – they were very well received! All the flowers, from the bouquets and corsages to the flowers at the reception were just lovely and exactly what we wanted. It was also so nice to work with you, as you made everything so easy which we really appreciated.